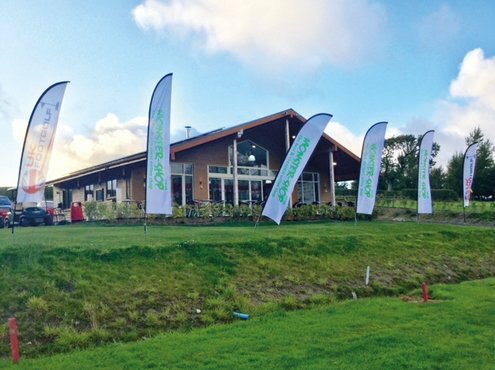 Silver Birch Golf Club - Bryn there, done that! 0 Silver Birch Golf Club - Bryn there, done that! Standing on the 10th tee at Silver Birch Golf Club, I found it difficult to face west, as the speed of the air seemed to hold my eyelids open, leaving me unable to blink. I was whipped in the face by an amount of hail which would have been negligible on a less gusty day. 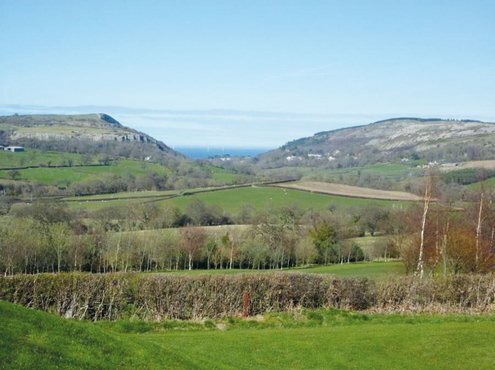 This is due to the valley which forms between the Snowdonian mountains to the south and the sea-edge hills just to the north; Betws-yn-Rhos lies just a couple of miles south of Abergele and Colwyn on the North Wales coastline. One can also peer through another valley to view the sea from this highest point on the course, and all these factors make for a golfing experience which is more about sensations above ground than it is about the science below. 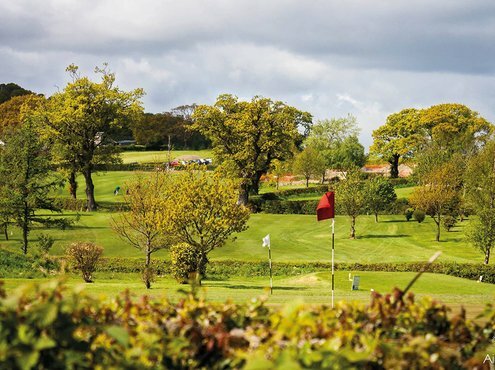 In summer, the icy winds become a refreshing, strong breeze which nicely counteract the hot sun, and the course's slight elevation, at around 200ft above sea level, make this equally strong. The ground is prone to cracking from the rays at the hottest times. 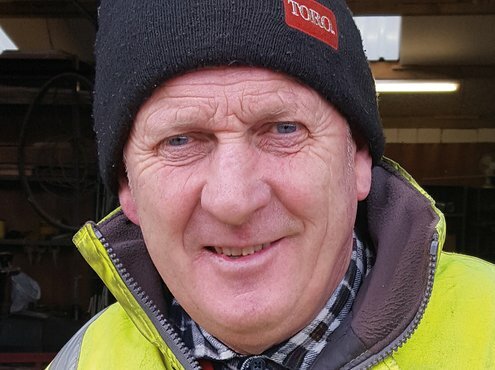 Thomas Bryn Jones, known to all as 'Bryn', started Silver Birch in the mid-1990s with his wife Menna, who had moved to the area just a few years earlier. He, by contrast, has lived in the village for over sixty years, since he was around eighteen months old. Their backgrounds, in one manner or another, are both in farming, but for much of their time together they ran a small shop in the village, which they still own remotely. With his agricultural pedigree, Bryn has the knowledge to get involved in all aspects of the grounds maintenance. 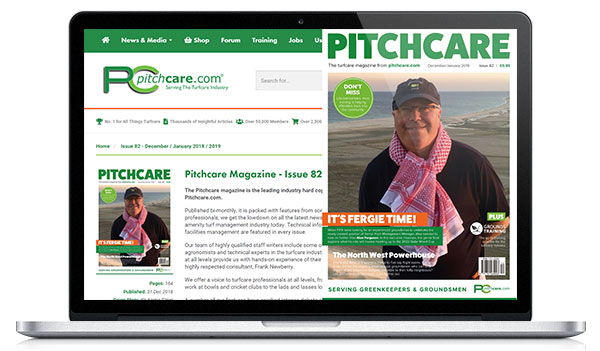 He gives his Head Greenkeeper advice on agronomic and technical issues, as these are not his speciality. 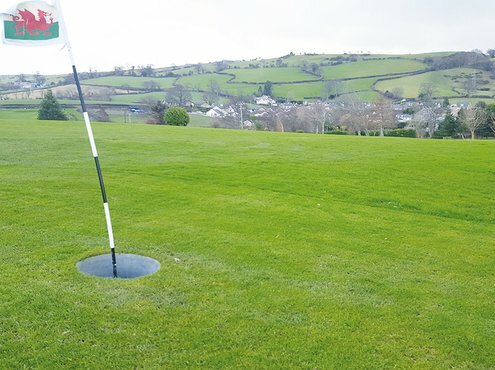 This greenkeeper, Elfed Davies, is related to Bryn via the marriage of their children, although this is a complete coincidence with their working link, and is a quaint demonstration of the population density in the area. The couple have a 15-acre plot of farmland immediately next to Elfed's, about three miles outside of the village. Elfed worked for thirty years as a mechanic just across the road and, when offered the chance to "get out from under wagon engines", he jumped at the chance. He has now worked at the club for around twelve years, and maintains the 18-hole course as well as the footgolf course which accompanies it. 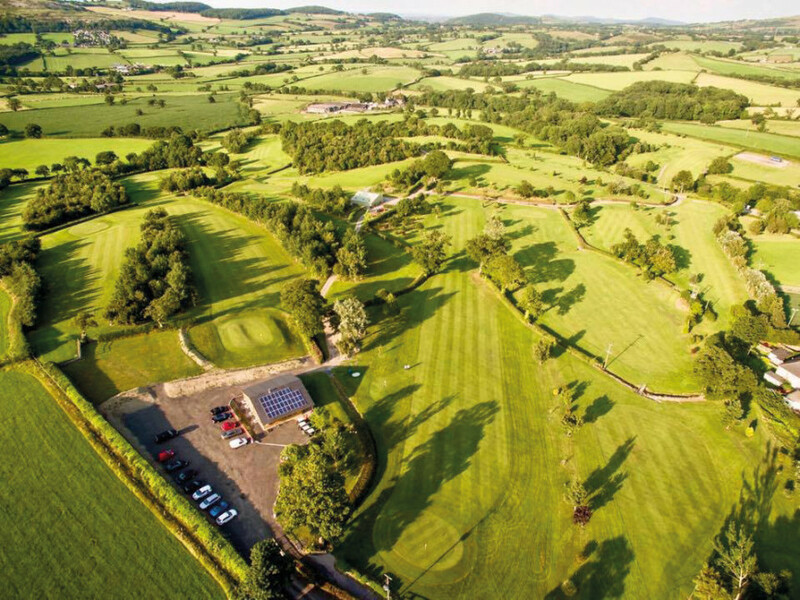 "Silver Birch is the only 18-hole FootGolf Course throughout Wales," commented Bryn, "and the UK FootGolf Association have held the Welsh Open here in 2016 and 2017, and have already honoured us with hosting the event again this year, 23rd September." "They take it very seriously indeed. They are perhaps footballers more than they are golfers. 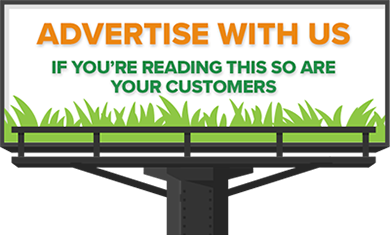 But, mostly, they are outright Footgolfers - and this is how they see themselves." "The game has it own techniques and its own identity, and these boys tour around far and wide to experience different courses." Whilst the northernmost areas of Wales have some of the lowest clay concentrations in the UK, this site lies within a cool valley, which means that below-surface water tends to stick around a little longer than it might just a mile north by the coast. The surface water is less of an issue, due to those whipping winds. 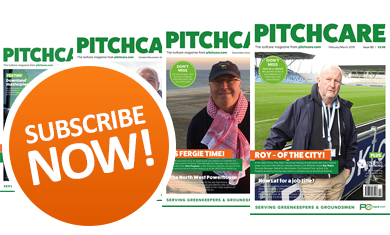 However, the team own their own Charterhouse Verti-Drain machinery anyway, and use this as often as twice per month, which helps to force any water away from the playing surface. I asked Bryn whether there was anything, other than the wind, he felt was notable about his course: "The views", he said, "are something I think are quite striking." "Now, we hadn't thought about that when we opened it. We have a huge number of caravans on the seafront over there, from Abergele to Rhyl. Thousands of them." "So, we have quite a few people from St. Helens and Warrington and other places which are a short trip to those caravans who come to play golf here, because they're in those caravans all summer." "Their comments are very often that the views are fantastic. We struggled to appreciate that, because we'd lived here for so long." "That is something everyone notices but, of course, with the views comes the wind and the rain. That's the trade-off." That said, the weather conditions in the area can be significantly different to what is felt just across the border in Cheshire and Shropshire: "We did have a covering of snow in early December, but it was nothing to worry about too much. The one thing we hate is the ice that comes with the wind." "It gets so cold that it burns the grass. When you get a covering of snow, two things happen: the course closes, so we don't have any staff on in the clubhouse; and the grass is kept warm." "Snow covering grass keeps it warm. It's an insulator. If the wind blows half of the snow away into a drift or a hedgerow, the section that's blown off gets burnt by the wind." "Then, when the snow melts, half of the fairway is green, and half is brown. It recovers quickly, but it's not nice. I don't like it. It hurts the grass. There's an old saying in the farming community which calls snow the poor man's fertiliser." "The snow always brings something within it. What do you call them?... micronutrients. So, a covering of snow is no bad thing." Elfed also comes from a farming background, and I asked him why he was so enthused about becoming a greenkeeper. He said: "Because I was offered the job. It sounded far better, anyway, than what I was doing before. It's open, and it's got a good mix. I cut the grass, I tend the trees, I fix the machinery. Much better." "I've always been a mechanic. I spent twenty-eight years doing it just across the road, isn't it? It was just a change; a total change. But we still farm, isn't it?" "So, in a way, when you're looking after sheep and playing on the golf course and cutting grass, there was nothing new in doing this, really." "When the weather's rough, we don't need to go out onto the course. We come in here [we were in the machinery shed] and there's always something to do." "[He pointed to a tractor]. This has just been pressure-washed, so it's ready for a service now, and we've already cut the trees, so this can have some attention before it goes out again." I seemed shocked that someone with such a difficult day job would farm sheep in his time off, and Elfed said: "We haven't got a lot. In March, we'll start lambing about 130. We've got me and the wife, my brother and his wife, and we all muck in. It's a smallholding, basically." "It's not enough to make a living off. That's why I've got to have a job [he laughed]. So, to work on a golf course - and in the village - it was ideal for me." Menna was busy on the day of my visit. The pair were married twenty-six years ago. 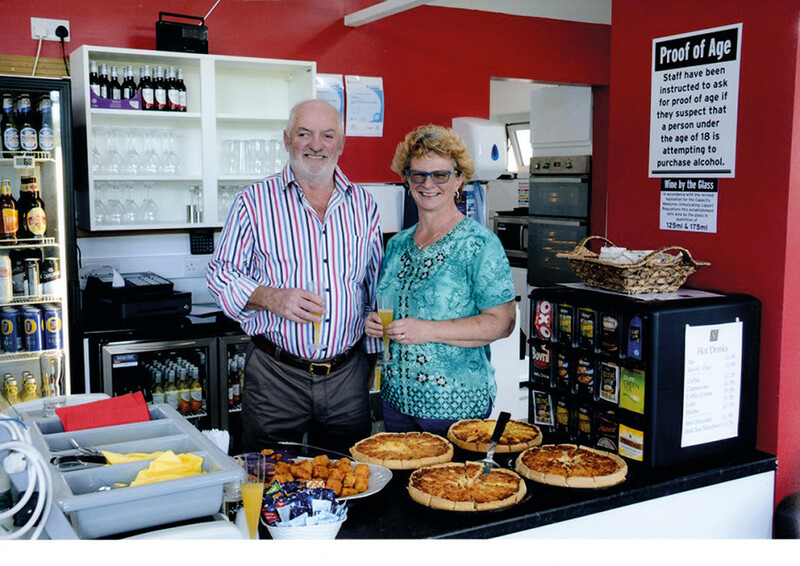 Originally, she had come to work for Bryn, and they have run the businesses together for three decades. They keep dogs, a pair of which that were both springer spaniels recently died. When considering whether to get more, which they would like to, Bryn said: "The problem with dogs is that you can't take them with you everywhere you go. We want to go and get a bit of travelling under our belts, you see." "When you go travelling, you've got to find someone to come and look after them, and it's not always fair to do that." I asked: "Who's going to look after the course?" Bryn said: "Oh, that's no problem. It'll give the staff something to do. We'd just pay them a few extra hours, especially the girls in the shop, and they'd love to have that responsibility. They're a good lot." "We went to America for three weeks just recently, and it was absolutely fine. We think we'd go back to America again." "I love the States. It's not everybody's cup of tea, but… I think people tend to think of the States as New York and Chicago, and places like that. I can't stand the cities." "We had a wonderful time in rural Illinois, Iowa, Minnesota and Wisconsin; all the states just to the west of the Great Lakes." "We were on a hunt for family history, and we found a lot of family who we'd never met before. I'm a family history idiot, so once you get me on that subject, I'll just talk and talk." Bryn traced an emigration of some north-Walians to the mid-west in around 1885. Fittingly, the Statue of Liberty also arrived in the US that year - it was also the year Karl Benz invented the car… and provided the setting for Back to the Future III. "My grandmother's family on my mother's side went to upper New York state, up by Oneida county. The wind comes off the Great Lakes, rises, then drops the snow all over the state and carries on." "Massachusetts had a hell of a snowstorm, of course, just before Christmas. And you'd wonder why they got so much snow up in the north-eastern states, being so close to the sea. Well, that's why. It's that freezing wind coming over the lakes." Before I left them, Bryn told me that the seventh green, which has been around as long as the course, is pointing in the wrong direction, and that he hopes this can be his next major project. It currently points away from the line of the drive, and Bryn worries that the approach shot to that hole is unusually difficult. "None of us can do backspin that well", he said. "I've seen a golf course designed on which they had dug the front of the green down and put a sleeper wall there, left a gap for a mower to lap the apron, then built the green there. I thought that was a lovely idea, but it would take a lot of doing. I suppose we just haven't got that bored yet." And I noticed, as I was walking out of the shed, how many new trees were burgeoning along the fairways. The club is aware of how many of these there soon will be. Bryn seemed to have a laid-back attitude about such things, which allowed a friendly relationship between his staff and himself. And speaking of tree clearance, he said: "We don't like to cut down too many, of course. We've planted over 6,000 ourselves in the past few years, so it would be self-defeating." "Anyway, we don't struggle with it when it does happen. It seems people are always worrying about when and how is best to clear trees. At the end of the day, there's not much to it. It's called a chainsaw." 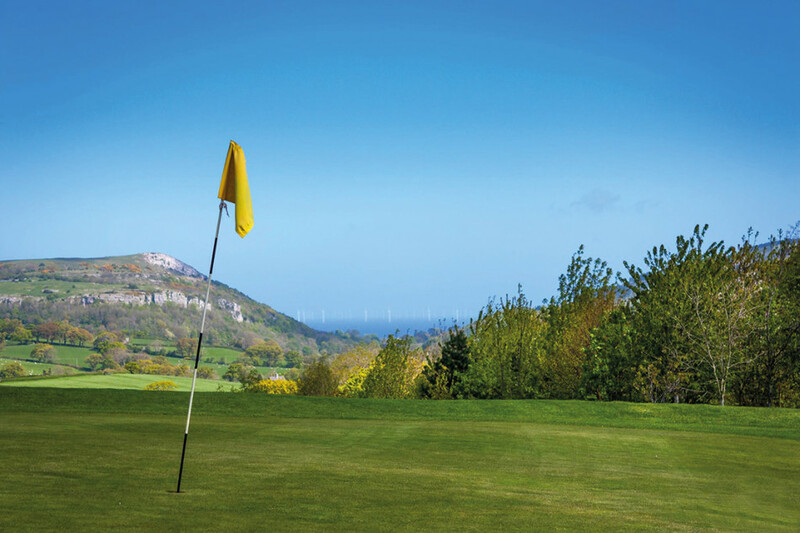 Silver Birch Golf Club (or Betws Yn Rhos Golf Club) is a picturesque 18 hole golf course situated in the hills above the beautiful North Wales coastline. Bryn & Menna Jones created Silver Birch from their redundant farmland, with the help of Howard Davies of ADAS, an agricultural advisory board, and Stewart Finney, who designed the course. They diversified out of farming long before it became fashionable to do so. Bryn says that, in the early 90s, there was nowhere for young people or adults to play golf. They felt intimidated by their lack of knowledge, of the rules, the etiquette and had no idea how to play the game. They didn't want to spend money joining a club without finding out if they liked to play. 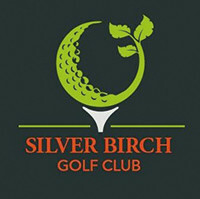 So Silver Birch was created as a 'Pay & Play' course where everyone could play golf to their hearts content. The course was officially opened by a local dignitary, Councillor Mrs Ena Wynne MBE, on the 24th June 1995. 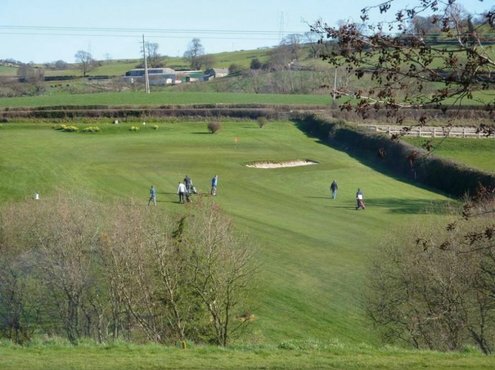 When golfers have been with us a couple of years, they gain confidence in their golf and move on to the other clubs in the area. Many have been back to thank us for having the opportunity to learn how to play. In 2002, the couple acquired more land from a neighbouring farmer and created the 'Back-9' which was opened in May 2004. This course was also designed by Stewart Finney and is very different to the original 9-holes. The front-9 is open pasture land, the back-9 has 6,000 trees planted to define the fairways and make it a more challenging course. Bryn concludes by saying that they found they were also able to cater for the more mature golfer who finds the full length championship courses too long for them. Silver Birch is 3235 yards long overall and is excellent for improving the short game. The Par for the course is a challenging 59. 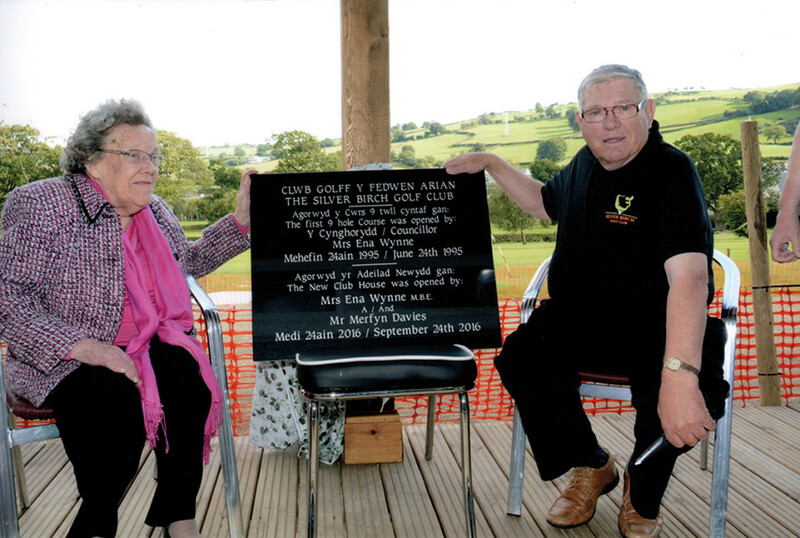 The club's eco-friendly clubhouse is now up and running and was officially opened by Mrs Ena Wynne MBE who, twenty-one years later, performed the ceremony as a lady of ninety years old. She was awarded an MBE for services to her community. She was accompanied by BBC Radio Cymru reporter Merfyn Davies who has been a member of the club since the day it opened.